X Ray is playing Sherwin Sleeves' "The Christmas Skater." He played it last year too, which is when I learned of it. It's a good story, and I've been pondering putting it on next week. I think it lasts about 40 minutes. I'll keep thinking about it. Roscoe was feeling lethargic yesterday. He's an active, mischievous dog, so it's very strange to see him act like that. When he feels bad, it's hard to be happy. Fortunately he seems to be feeling better today. When I took him out this morning, he nipped at my heels a little bit, which is a good sign. Yesterday I graded in the morning, with Roscoe sleeping at my feet. I got a lot of work done. In evening there was a departmental Christmas party. I drank some whiskey, and felt just fine. But between the working and the partying, there was no time to prepare a cover contest. I'll try to have one ready for next week. Catamount Community Radio, more fun than two barrels of monkeys, Sunday mornings 10-12 (East Coast) on WWCU. 1. 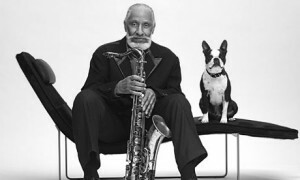 Sonny Rollins – How are Things in Glocca Mora?